3.1 Why is RAM so important? 3.2.8 How much RAM do you need for your gaming PC? Building or buying a gaming PC requires a lot of research and forethought to make sure you’re getting the highest performance for today’s games. In addition to the CPU, Hard Drives/Solid State Drives, and video cards you’ll need RAM. RAM (random access memory) is a type of memory, or data storage, and is essential for storing game data while also running background applications. Appropriate RAM for your PC is important, as it not only stores game data, but also controls how fast your PC responds to various functions. If you see sluggish performance on your PC, it’s tied to the temporary memory required to run applications, and you’ll probably need an upgrade. 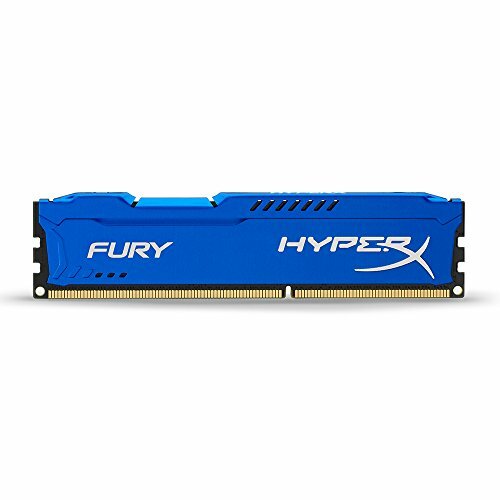 We’ll help you navigate the different criteria for how to choose gaming RAM, as well as brands and products on the market to find the best RAM for gaming. Read on to see more in-depth reviews of our top five (and other) gaming RAM kits and modules. We’ve done the research to find the best RAMs for PC gaming, and we’ve broken the list down by the two main generations of DRAM – DDR3 and DDR4. Clicking on the product link will direct you Amazon, where you can read more reviews. DDR3 is the third generation of DRAM and fits most PC motherboards. If you see 4-module kits, be sure to check if you have room for multi-module kits before you buy. The Crucial Ballistix is well praised by consumers for its low cost and high performance. In addition to the 4GB capacity, there are kits and modules available up to 32GB. This is a great model if you’re looking for an economical choice that leaves you room in your build budget. The modules are plug and play, so you don’t need to adjust the timing, making the installation process easy. The output is 240-pin, and the module has a memory speed of 1600MHz with a low CL9 latency. At a measurement of 7 x 5 inches, the module should fit most builds. In addition, the module features a standard 1.5 volts and has a black and green color scheme. Regarding gaming capacity, users have reported excellent performance and a general improvement over previously used brands. If you’re running multiple programs but need to save on your budget, this is a great option. Overall, we can’t find much fault in the Ballistix Sport, although some users have reported that they received a faulty item; Crucial offers a limited lifetime warranty. Other users have reported that although it has aluminum heat spreaders, it can run a little hot. In short, despite the few less-than-positive reviews, the Crucial Ballistix Sport is our favorite choice for a 4GB capacity model. The HyperX Fury is designed with the gamer in mind; it has been tested for compatibility with many brands of motherboards and is compatible with Intel and AMD platforms. There are many similarities with the Crucial Ballistix Sport; we felt that the Sport just edged out the Fury and we felt it deserved a mention. The HyperX Fury is affordable and is a great option if you’re on a budget. The module is available in three speeds: 1333MHz, 1600MHz, and 1866MHz. Latency is a CL10, making it slightly higher than the Ballistix Sport. The RAM also has an automatic overclocking feature, allowing you faster speed without making adjustments in BIOS. Installation is a breeze with plug-and-play modality, and the module looks fantastic, featuring an asymmetrical heat spreader. The Fury comes in four colors to match your color scheme: black, blue, white, and red. The unique black PCB adds yet another layer of style. As is standard with Kingston products, you get a lifetime warranty. If you’re looking for high performance without making a huge investment, you can’t go wrong with the Fury 4GB. Reliable - 100-percent factory tested.Speeds from 1600MHz-2133MHz - can fit any machine's needs. 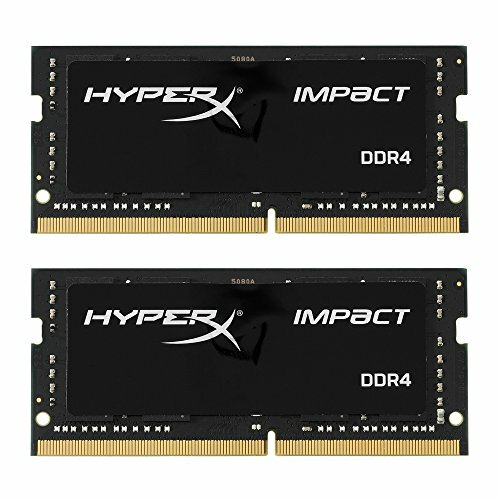 The HyperX Impact SODIMM is our favorite choice for laptops. More than likely you’re building a gaming PC over a gaming laptop, but we thought it prudent to still include it in our list. This model is available from 1600MHz to 2133MHz frequency, although higher frequency will have a small impact on the latency. The modules are designed to fit ultra-thin laptop models featuring a slim thermal label, giving it a sleek look. The module operates at a lower voltage (1.35V), allowing for lower power consumption and quieter computing at a cooler temperature. Kingston Technology is known for their high-performance products, so you can be sure you’re getting a reliable product with a lifetime warranty. This particular model made our top list due to very high customer reviews, rating overall performance as excellent. The plug-and-play ability makes it user-friendly, especially for novices, and it automatically overclocks to the highest speed available without making adjustments in BIOS. The HyperX Impact is compatible with Intel and AMD motherboard platforms and works with Mac and PC units. The company understands the needs of gamers; HyperX sponsors several eSports teams. Depending on the frequency, the latency is as low as CL9 for the 1600MHz and as high as CL12 for 2400MHz. The Corsair Vengeance Pro has a specialized heat spreader designed to improve overclocking speed with a potential of 2133MHz. The modules are specifically designed for Intel Core platforms and feature automatic overclocking. The kit is a surprisingly good value, with the single 32GB module not much more in cost. The modules feature a 240-pin output and a standard 1.5V voltage. If you’re into aesthetics and want to build a PC you can show off, the Vengeance Pro series includes a color accent clip designed to fit your PC’s color palette. What you’re going to notice most about this kit is its speed. Customers rave about the excellent performance and speed potential. The module is designed at a height that will fit most systems while still allowing for maximum cooling potential; the aluminum heat spreader. In terms of construction, every module is built from eight layers of printed circuit board (PCB) and integrated circuits of the highest quality. If you have either the 3rd or 4th generation of Intel Core platforms, you can expect the highest performance. DDR4 is the fourth and newest generation and is faster than DD3. While they cost more overall, you will see a difference in performance. Most DDR4 RAMs are 288-pin, as opposed to 200 and 240-pin outputs common in DDR3 DIMM. As with DDR3 RAMs, make sure you have the slot capacity if you’re looking for kits. Crucial’s Ballistix Sport LT is one of the most positively reviewed RAMs we found in our research. It comes in modules of 4, 8, and 16GB, and kits up to 64GB. You’ll notice a difference from the previous generation; the speed starts at 2400 MT/s. With known brand quality like Crucial you know you’re getting one of the best on the market. Not only do you get fast speed, but it helps you get better responsiveness for an overall great gaming experience. For people looking for style as well as substance, you can expect a standout piece in a bold red, with a digital camouflage motif on the heat spreader. If you’re looking for a more neutral tone, the modules come in white and grey. The 288-pin DIMM measures 7” x 5”, which should fit most rigs. The low profile should fit most air coolers. There may be faster models on the market, but you can expect stability when operating at higher speeds. Gamers will be satisfied by the quality, price, and style. Users who work with the modules at a larger capacity report excellent and consistent performance, even while engaging with gaming and video editing. Multitaskers will be more than happy with the response rate. 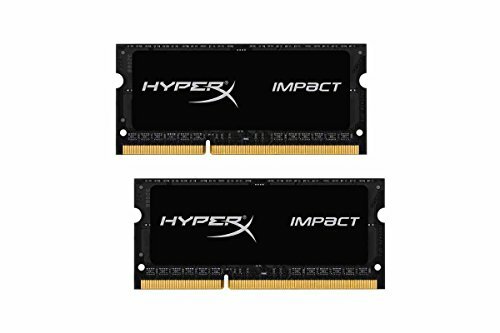 The HyperX Impact for DDR4 begins at 2133MHz and is also available at 2400MHz. You have the option to get modules and kits ranging from 4GB to 64GB, offering you a wide range of options to fit your needs and budget. The Impact SODIMM leads the industry in DRAM technology for mobile devices. Check before you buy, but the HyperX Impact has been compatibility tested with many of the major motherboard brands. The SODIMM is designed for a slim fit while looking sharp. The thermal label is an impactful black with a black PCB, and its slim profile makes it an outstanding choice for laptops and steam boxes. Installation is easy – simply plug and play. The module has been optimized for Intel’s 100 series, and there is automatic overclocking to let you get to the highest frequency published without having to change BIOS settings. In addition, the module features a low voltage (1.2), drawing less power, running quieter, and generating less heat. These factors combined help extend battery life, making the HyperX Impact the best DDR4 SODIMM option. 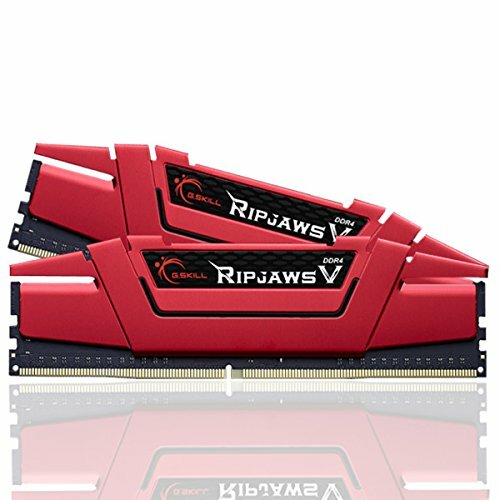 The Ripjaws V Series has designed a 16GB kit with a 288-pin output. The kit has a speed of 2400MHz maximum, but has a CAS latency of 15. With the speed compensating for latency, you’ll see great performance. The heat spreader comes in a unique design and form and is available in four colors: red, black, blue, and grey. The DDR4 memory is compact in size but can run on the pricier end of the scale. One of the few downsides we found was some deficiency in the heat spreader. Overclocking can lead to an increase in heat, and the heat spreader has less contact with the memory chips than other models. Some customers recommend a different model if you’re interested in overclocking. Overall, however, this is a great DDR4 module, especially for a new builder. It performs well and looks great if you want to build a functional gaming PC that looks awesome. The Dominator Platinum series of DDR4 memory is designed for most Intel X99 system builds. The 16GB DDR4 DRAM runs at a maximum speed of 3200MHz. It is on the higher end of the price scale, but what you’re gaining in speed and bandwidth is worth the price. The modules feature customizable light bars to fit your color scheme, and they are constructed with hand-screened performance ICs. In addition, the Dominator Platinum modules have a proprietary DHX cooling system, which ensures higher performance. If you’re looking to have a more integrated build, the Dominator Platinum modules are compatible with the Corsair Link system, allowing for temperature monitoring. Performance doesn’t mean a loss in stability; the Dominator Platinum is compatible with XMP 2.0, and the automatic overclocking will adjust to the highest allowable speed. Yet another great product from Corsair is the Vengeance LPX line. The series has a minimum capacity of 8GB and a maximum of 32GB kits. In terms of speed, you can expect standard DDR4 speeds starting at 2133MHz, but the series has speed options up to 3200MHz. The heat spreader comes in four color choices: black, white, red, and a charming bright blue. The low profile design makes this a great choice for most desktop builds. The heat spreader is designed with aluminum construction for faster heat dissipation. The hallmark of the Vengeance LPX modules is overclocking while maintaining high performance. In addition, the 8-layer PCB assists with overclocking and contributes to heat management. Specifically designed for compatibility on Intel X99 motherboards, the Vengeance LPX is a significant upgrade from the DDR3 generation. We haven’t found too much to not like about the Vengeance LPX, Like the Pro DDR3 model, you can expect high performance and easy installation. Corsair’s testing process is exhaustive, ensuring a quality product. Crucial is known for quality products, and these modules are no exception. The individual modules come in 8, 16, and 32GB, and are economical for the speed and quality. With that economy is an excellent no-frills option for a high-quality RAM. The DDR4 SDRAM operates at 1.2 volts for lower power consumption and cooler temperatures, giving you an overall better performance. The 8GB model operates at a rate of up to 3200 MT/s and has a CAS latency of CL15. The unit is a standard size of 7 x 5 inches, which shouldn’t give you any problems fitting into most builds; however, you may want to check out other options if you’re looking to build small. Like other DDR4 RAMs, the module features a 288-pin output. What you’re lacking in this module are the aesthetics you get out of many of the other models on our list. Another of our top choices is the Ripjaws 4 series. The DDR4 RAM has a capacity of 16GB with the standard 288-pin output. The low voltage at 1.35 volts keeps the operating temperature lower, giving you overall better performance. The Ripjaws series features an edgy design, giving your rig a unique look. The modules are compatible with Intel X99 platforms and have a maximum speed of 3000MHz. Also, you’ll have a choice of three colors: red, blue, and black, designed to match your color scheme. The modules are available in 2400 and 3000MHz. The DDR4 RAM has a CAS latency of 15 and is relatively lower in price for the speed. The latency is the same between the two speeds, so you may see slightly better performance out of the 3000MHz Extreme memory kit. With so many choices for gaming RAM on the market, it can be overwhelming deciding what you need. We’ve put together frequently asked questions as well as explanations for the differences that factor into choosing the best gaming PC RAM for your needs. Unlike permanent data storage that you get with a hard drive, RAM is the temporary storage medium that helps run open applications. This CNET article elegantly explains the difference between RAM, hard drives, and virtual memory, but essentially, RAM gives your PC the ability to operate applications at an appropriate speed. If you junk up your PC with multiple running applications, particularly heavy ones, it can really slow down the overall performance of your PC. Depending on the game requirements and your need to multitask, you may need more RAM than you currently have. Make sure you can identify the kind of motherboard you have. Motherboards contain the installation slots for individual RAM modules, and not all models will fit your PC. DRAM, or dynamic random access memory, has evolved over the years and is labeled by generation – DDR1, DDR2, DDR3, and the most current, DDR4. DDR3 has adequate capacity speed, and latency, while DDR4 runs faster. The motherboard also ultimately controls the maximum speed available. Make sure you check your motherboard to see what the maximum supported memory speed is. There’s no point in spending money on a 2400MHz RAM if the motherboard can only support 1600MHz. Also be sure to check your pin output; typically, you’ll see 200-pin and 240-pin in regular sized DDR3 modules, while SODIMM, or small outline dual inline memory modules, are available in 144, 200, and 204-pin outputs. DDR4 now has 288-pin dual inline memory modules. When doing your search for RAM for your PC, it’s important to see if it’s labeled as a kit or not. Modules typically refer to a single piece for your PC installation. Kits indicate that you will be getting more than one module (Two 4GB modules are sold as an 8GB RAM, for example). Most motherboards have either two or four slots, so it’s important to check before you buy to see if you can accommodate a larger kit size. In terms of performance, the difference between buying kits and individual modules is negligible, but there can be a difference in cost. Buying a single module can sometimes cost more than buying two smaller capacity modules; some people may choose to buy two separate modules to save a little more on their budget, but it’s recommended to go with a kit if you’re plan on buying multiple modules. A kit contains identical modules that have been tested to work together, whereas piecing together different modules may not work as well or give you the same performance. Kits ensure that the modules were produced from the same production batch. Consider your budget. Larger capacity memory kits and modules (16GB+) generally become increasingly expensive, and you’ll need to devote part of your budget to the other major components – processors, drives, and graphics cards. The higher the speed and capacity, the more you will see and increase in price. In addition, there will be a price difference between DDR3 and DDR4 generations of RAM, with the newer, but more powerful and higher performing, costing more than their predecessors. Although we mentioned it earlier, it’s still important to check to speed capacity of your motherboard – there’s no point in investing in a higher speed module if your system can’t handle it. We’ll discuss it in further detail, but if you don’t need to do things like video editing or heavy multitasking you probably can save on the added expense. There are many differences in RAM modules that you’ll need to factor into your decision-making. We’ll discuss form, storage capacity, and speed. As we mentioned earlier, there are four generations of DRAM currently. DRAM is replaceable and modular; you may see some modules with the label DIMM or UDIMM. DIMM stands for dual inline memory module and is the most common form of DRAM for PCs. DIMM is the generic form of UDIMM, the “U” representing unregistered or unbuffered. There exists RDIMM, meaning registered, but it runs slower than UDIMM. Another option well suited for laptops is SODIMM, or small outline dual inline memory module. SODIMM occupies a footprint about half that of a standard DIMM. DDR, or double data rate, refers to the function of transmitting data twice per clock cycle, or data rate. The clock cycle is an indicator of the processor’s overall performance and is typically measured in MHz. Data rate can also be measured by bandwidth as Millions of Transfers per second (MT/s). DDR3, one of the two current DDR iterations, typically runs at a power consumption of 1.5V and have clock speeds as high as 2300MHz. DDR4 runs at significantly higher speeds, starting at 2300MHz. However, speed affects latency. An article by PC Gamer outlines the differences between DDR3 and DDR4 in detail, but ultimately concludes that the difference in performance between equal modules of equal speeds is negligible for the home user. You will see some difference in terms of power consumption. DDR4 draws a standard voltage of 1.2V, with performance voltage at 1.35V. This makes more of a difference for larger servers, but it is lower nonetheless. Another great resource for learning more about the differences between DDR3 and DDR4 is this article by AnandTech. You’ll get a detailed analysis of differences in terms of bandwidth and power consumption, and well as analysis of the physical components such as pin contacts and other engineering features. The amount of RAM you need for your gaming PC is based on a few factors. Some people may tell you that you can never have too much RAM, but that’s not necessarily true. 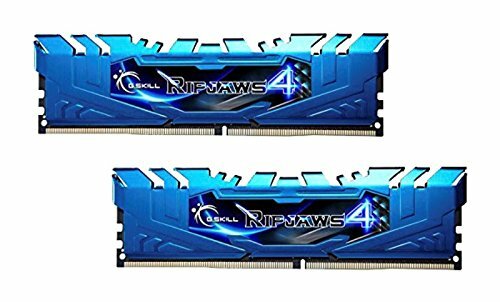 RAM kits tend to increase in price the higher the memory storage capacity, which may not leave you with enough funds to support a high-quality CPU, hard drive, and graphics card, all very important to good game performance. If you have a lower-performing graphics card, it may require you to play games on a less graphically intense level. The lower the graphics requirements, the lower the RAM requirements. However, you need to make sure you have enough to support the processor as to not lose performance in terms of frames per second. Based on current high-performing games, 4GB is the recommended minimum memory for gaming PCs, but 8GB is generally considered the “sweet spot”, allowing you better performance while running other applications. Some people will tell you that you need 16GB or more, but this can be overkill if you’re not using other heavy applications like video editing. However, planning for future gaming is another factor to consider. While 4GB may work well for your current needs, games inevitably change and are becoming more taxing on your operating system. Depending on your budget, you may want to invest in RAM with a larger capacity to ensure your gaming PC will maintain high performance over time as games require larger memory capacity. Check out this informational video from Hardware Unboxed that covers that performance differences by capacity in RAMs for gaming: 4GB, 8GB, and 16GB. CAS latency, or column access strobe (abbreviated CL), indicates the delay time between when a command is entered versus when it is executed. Latency is that gap between the two. More specifically, the latency is measured by the number of clock cycles the data must go through to complete the command. To actually determine the true latency, Crucial provides this exhaustive guide explaining CAS latency and related performance. CL only measures the total number of clock cycles, and not the clock cycle duration, thus making CL a sometimes misleading indicator of performance. The formula for determining true latency when examining the differences between high-performing RAMs should be based on measurements in nanoseconds. Multiply the clock cycle time (in nanoseconds) by the number of clock cycles (CL) to determine the true latency. Official engineering documentation will provide clock cycle timing. Crucial lays out a chart comparing module speed, clock cycle time, and CAS latency to determine true latency. The results show that in DDR3 and DDR4 RAMs, the true latency is actually lower than in the older DDR1 and DDR2 generations. At this point in time, speeds are increasing without much change to true latency, meaning that you can expect higher performance and overall greater efficiency. Ultimately, after analyzing engineering differences across multiple modules, we can come to the conclusion that latency, while important, is not as critical a factor as speed. Voltage refers to power consumption, which contributes to noise and heat production. Standard voltage for most DDR3 RAMs is 1.5 volts, but there are some low-voltage models. The newer generation of DDR4 RAMs typically runs at lower power consumption. This may not make a huge difference on a home budget, but the difference in power consumption can add up if you have servers. Also, you’ll generally experience less noise interference and lower heat output. Most newer modules operate at 1.2 or 1.35 volts. Speed is probably one of the most important factors when deciding on the RAM for your gaming computer. Modules from older DDR generations (1 or 2) run at considerably lower speeds with higher latency. Today’s gaming RAMs give you better performance with the ability to run at higher speeds without sacrificing stability. Generally expect to see modern gaming RAMs with speeds starting at 1600MHz, going as high as 3200MHz. While the RAM speed is important, it’s also important to acknowledge the maximum speed supported by your motherboard. For example, a 3200MHz RAM is fantastic but not useful if your motherboard only supports speeds up to 2133MHz. In general, any frequency over 1600MHz is considered overclocking (OC) RAM. If you’re interested in overclocking, you should do CPU/GPU research to find units that support faster timings, which will allow you to perform above rated specifications for intense gaming. RAM speed does have some impact on stability. Overclocking on certain systems requires a faster RAM speed to prevent performance issues. Regardless, check you your motherboard’s compatibility list before you make any final purchases. XMP Profiles, a redundancy meaning Extreme Memory Profile, allows for automatic overclocking without having to manually make BIOS adjustments. Manual overclocking is common in some of the older DDR RAMs, but most of the modules we reviewed have an automatic overclocking feature. XMP support means that you have preset memory profiles at your disposal, making performance adjustments a breeze. For example, you can change from a preset designed for intense gaming, featuring low latency and high performance, to a default setting appropriate for regular home use. If you’re an experienced user you have the ability to manually change parameters in the BIOS. This is really something to mention if you’re relatively new to building gaming PCs. Generally, most current models are user-friendly with a plug-and-play modality, meaning you can simply push the RAM into the designated slot and get started without a lot of extra work. If overclocking is your thing, it’s easy to find modules today that allow for automatic overclocking, which is great because it eliminates the work required to make BIOS adjustments. In short, there are a lot of great RAM options for your new gaming PC. We found great options for low-profile systems, laptops that require SODIMM, exciting aesthetic options, and simply RAM that gets the job done. While all of our selections are great in their own ways, we felt that the DDR4 RAMs in general outweigh their earlier counterparts. If you have the room in your budget and the compatibility, going with the options of faster speed and higher bandwidth will make up for any slight latency issues. 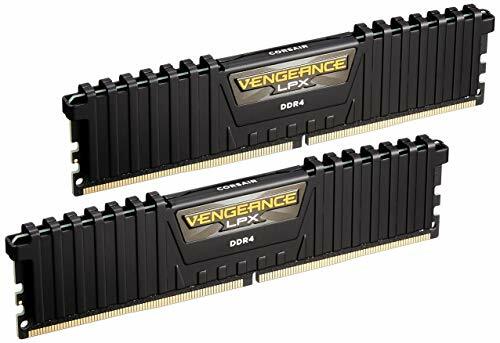 Given that, we felt that the Corsair Vengeance LPX was the best overall choice for a standard DDR4 RAM. The modules were designed with the needs of the high performing gamer in mind. This workhorse is made for automatic overclocking while maintaining stability. With the variety in speed options you can make some room in your budget, but overall you will find that the cost justifies the great performance. If you have the latest Intel X99 platforms, you’ll experience no trouble with compatibility. Have you used any of these modules or kits? Have a recommendation that’s not on the list? Don’t forget to leave your questions and comments at the bottom of the page – we really like hearing from you!